In today's digital world, it's easy to upload your favourite holiday photos to social media and then leave them to gather dust in a file on your computer somewhere. I'm an avid user of technology, but I find it a real shame that photo albums and photo printing are not as popular anymore. As I'm just starting a new travel scrapbook for 2017, I thought I'd make a conscious effort to get physical copies of my favourite photos to put in the book. There's something ever so nostalgic about getting your photos printed. For today's post, I'm going to talk about why you should print your travel photos. 1. You can put the photos in frames and display them around your house. Photo frames are such a nice way to make your house homely. 2. You can send the pictures to your grandparents or family members that you don't get to see very often. They'll really appreciate this sweet gesture and be happy to see memories from your adventures. 3. It's more personal than just having them stored on your computer or phone. 4. You can make creative gifts for the friends or family who went travelling with you. If you like arts and crafts, it's a great way to do something nice for your loved ones. 5. You can add them to a travel scrapbook. I wrote a 'how to' post for travel scrapbooks here. 6. Printed photos can act as souvenirs from your travels. When I'm travelling, I always aim to take 'postcard worthy' pictures, that I can be proud of when I get back to the UK. If you're looking for somewhere to get your photos printed, I'd totally recommend Snapfish. 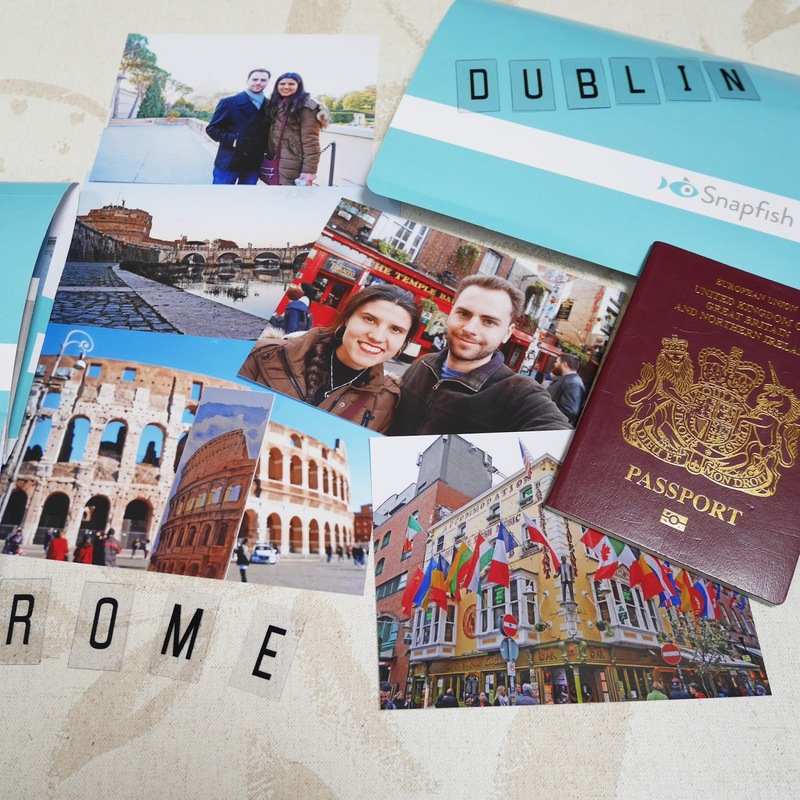 Do you still print your travel photos? I've been working throught some of my older photos to get photobooks printed from different rips, but it's taking so long! Hopefully if I keep up with them going forward it wont be quite so intense! The Hey Little Magpie website is scrapping gold! There are so many beautiful patterned papers.